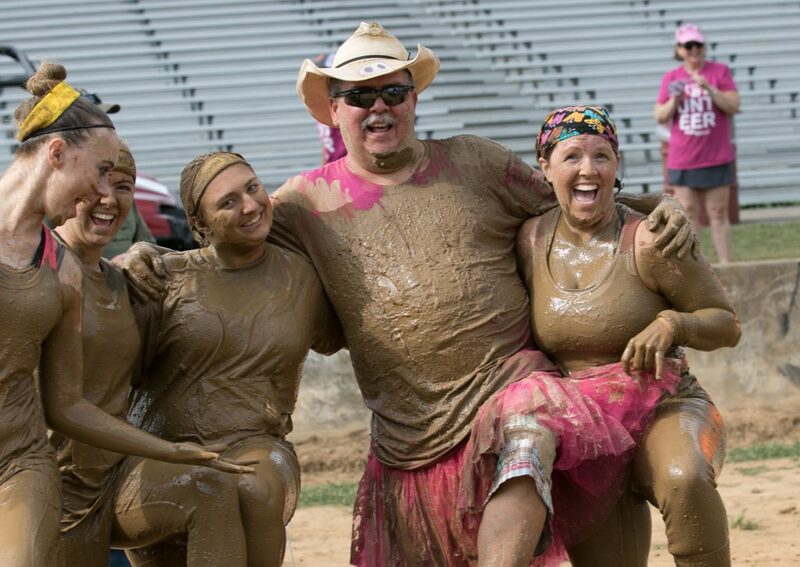 Volunteers at Muddy Mamas help with various tasks, such as checking in guests, working the water stations, clean up/set up cheering on the participants, handing out finish line medals, selling merchandise and parking. What should volunteers bring and wear? The event is rain or shine and involves plenty of mud, so dress accordingly. Please leave all valuables at home. All volunteers will have access to snacks and water/soda throughout the day and will also receive a free lunch. *Beer Garden Volunteers must be 21!